Mobile phone apps, a correspondence course from IGNOU and Hindi translations of Russian folk tales await those wanting to learn Russian in India. Several new initiatives were unveiled by academics in Delhi to promote the Russian language in India as a part of the Russian Government’s Russian Language 2011-2015 program. The Indira Gandhi National Open University (IGNOU) will launch India's first distance learning program for the Russian language. “The School of Foreign Languages in IGNOU has the potential and capacity to cater to the needs of students who are situated not only in India but also abroad and want to learn the Russian language,” Shivaji Bhaskar, Assistant Professor (Russian) said. The beginner’s course is a 16-Credit Certificate Program. Each credit entails 30 hours of learning with a teacher in the IGNOU regional centres located all over India. Teachers themselves, known as counselors, will be trained in these regional centres as well. Russian language studies will be based on the materials provided by Jawaharlal Nehru University, Delhi University among others. Students can enroll in the program in any of the over 60 IGNOU regional centres. “We might need 300 to 400 counselors in five years. People can apply for the counselor position and the eligibility is very simple. All people who know Russian language can apply. We will test them. Usually it takes around a week to become a counselor,” Bhaskar explained. The program is to be launched in July 2015. The training materials have already been prepared and submitted to the Training Centre at the Russian Centre of Science and Culture (RCSC) in New Delhi for processing and editing. Upon the completion of this step by the experts of IGNOU, Jawaharlal Nehru University, Delhi University and the RCSC will prepare a multimedia CD. “It will have the same material which would be published and some more content including voice exercise with male and female Russian voice,” he said. According to IGNOU estimates, more than 500 people may enroll in the program by the year 2017. The full program lasts two years, after which the student is required to take an exam. Head of the Training Centre of the RCSC Tatiana Perova says that she regularly receives “related requests from remote regions of India and its universities,” adding that there is a definite demand for distance learning. Head of Department of Computers Lingustics Didactics at the Peoples' Friendship University of Russia Alexander Gartsov said mobile phone applications for learning the Russian language will be ready in the next two years. Tatiana Perova said that it’s often younger and less experienced teachers who rely on apps. “Sure, the dog barking and the birds flying make it easier to master the grammar. But not everyone in India can afford to buy a computer.” She recommended that more student enrol to become members of the RCSC library. “Electronic textbooks and a rich collection of cultural materials are available there,” Perova said. This year, the Indian Government said it would spend Rs. 1.2 crores ($196,000) to develop E-content for Russian Studies. “This project will make Russian studies more interesting and interactive through innovative technologies, audio, video, Microsoft Power Point presentations on each topic,” Sonu Saini, Jawaharlal Nehru University Assistant Professor (Russian) said. “As per the project, content writers will develop the 16 papers such as Russian Morphology, Literature, Translation, Culture, History, Tourism,” Saini said, adding that this was the first time Russian-language specialists from across India were working as a team. “I do wish to express my most sincere happiness at the overwhelming response and readiness to actively participate in the project,” says Debal Dasgupta, who is heading the project team of 16 coordinators and 30 content writers. The free learning portal, which will be ready in 18 months, will also contain a literature section containing the works of Russian writers of 19th and-20th centuries. 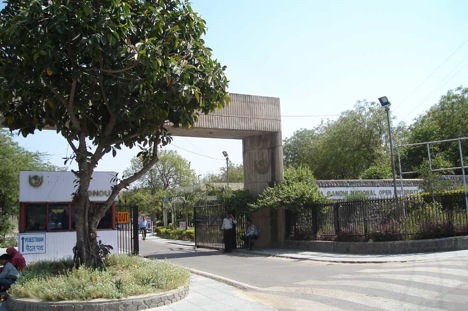 Jawaharlal Nehru University also requested the Indian Government for a grant to what is probably the biggest project in recent years of translating Russian folk tales, songs and poems to Hindi. Other academicians argue that India should once again publish Russian scientific literature. “Soviet books were outstanding. And this is not my opinion alone. As a young boy, I spent most of my pocket money on buying books,” scientist Chandra Mohan Nautiyal said. The publishing of Russian scientists' works was discontinued in India with the collapse of the USSR. The largest Soviet publishers, Progress and Rainbow were translating scientific works as well as fiction in 13 Indian languages. Soviet magazines that were published in common Indian languages had, in turn, over two million subscribers.